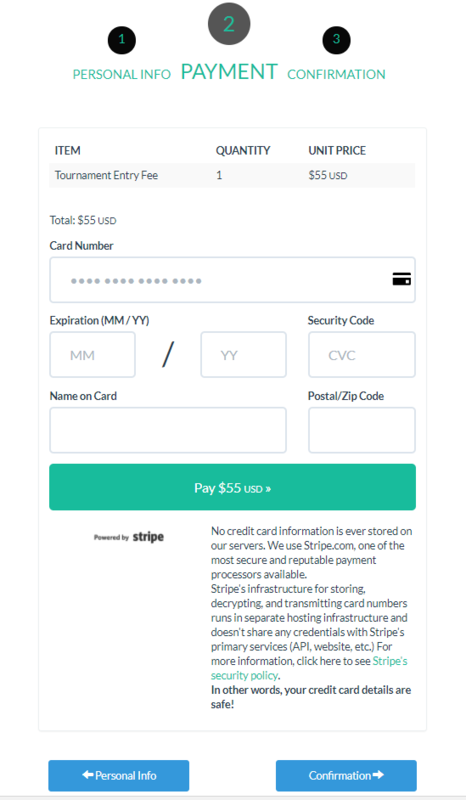 Signing up for a singles tournament is very straight forward. Now you have to complete a 3 step form. First, provide your personal information including your name and your email. 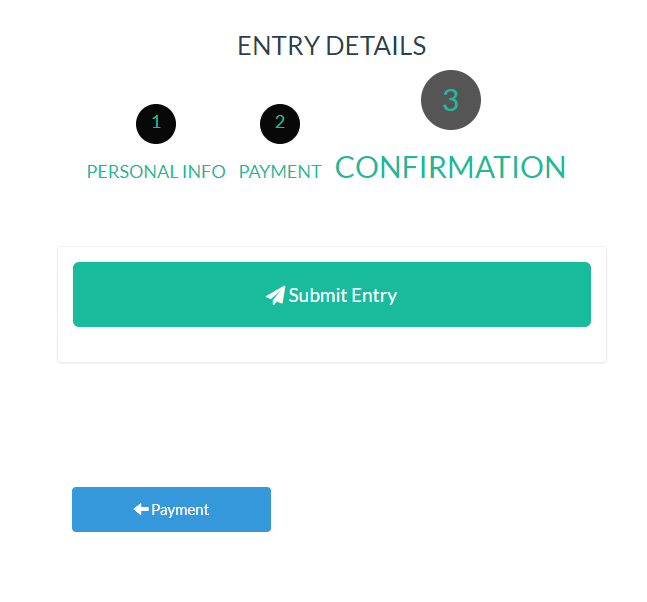 After submitting your name and email, a confirmation screen like below will appear. Payment step is next. Use a valid credit card to pay the entry fee. The amount of the entry fee is set by the tournament host. 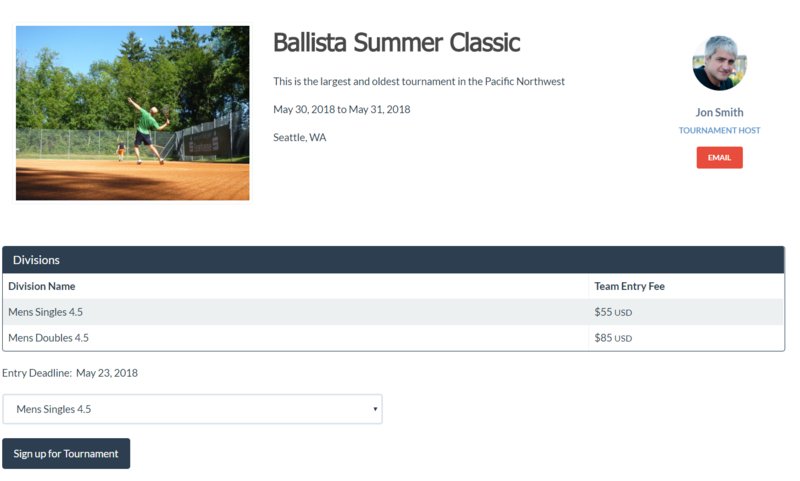 There might be additional items offered by tournament host that you can add (in desired quantities) to your shopping cart and the grand total of your payable amount will update accordingly. 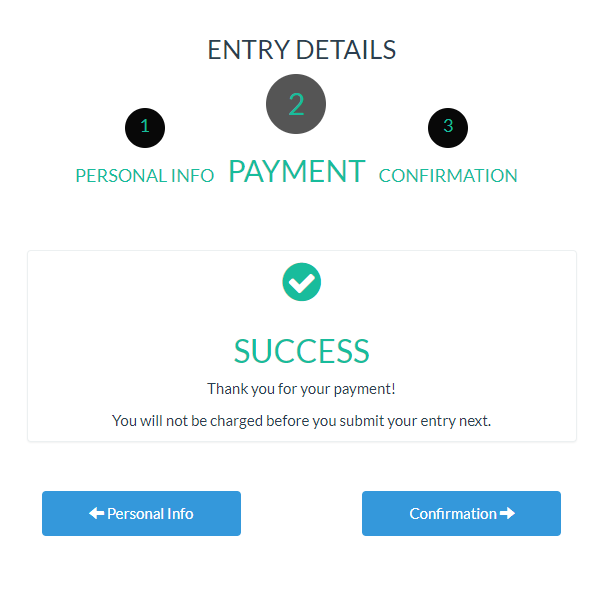 After you pay the total amount, a confirmation screen like below will appear. 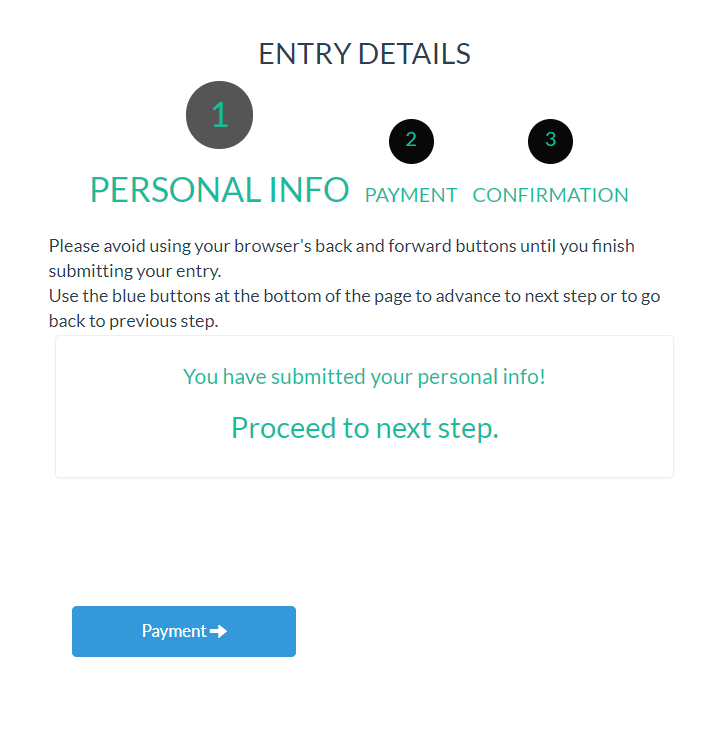 Final step is to confirm and submit your entry. 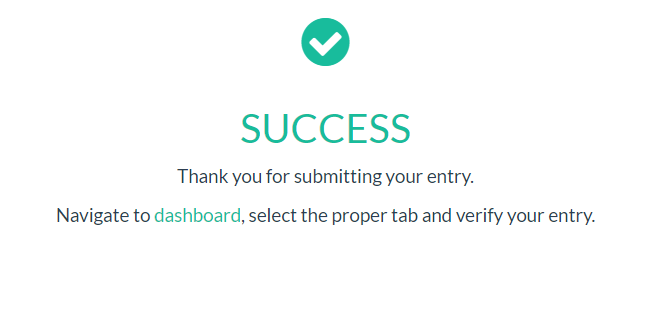 After you confirm your entry a success message is displayed. 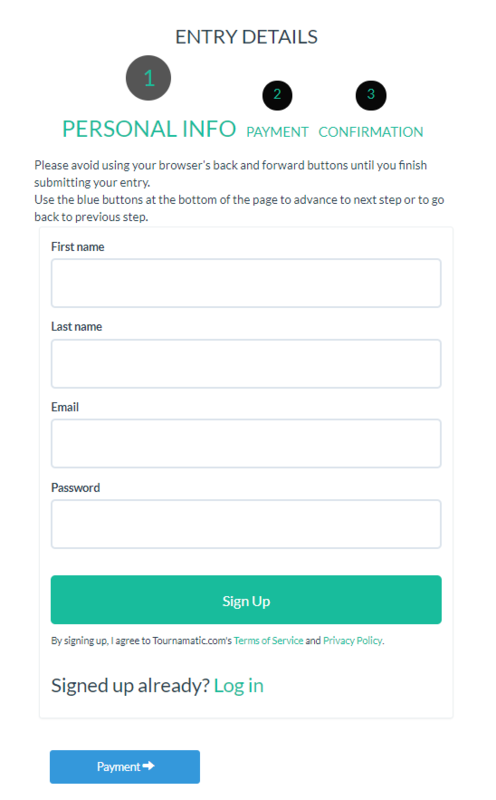 Consequently, you should receive an email with some additional information and your tournament host will also receive an email that you entered in the tournament.